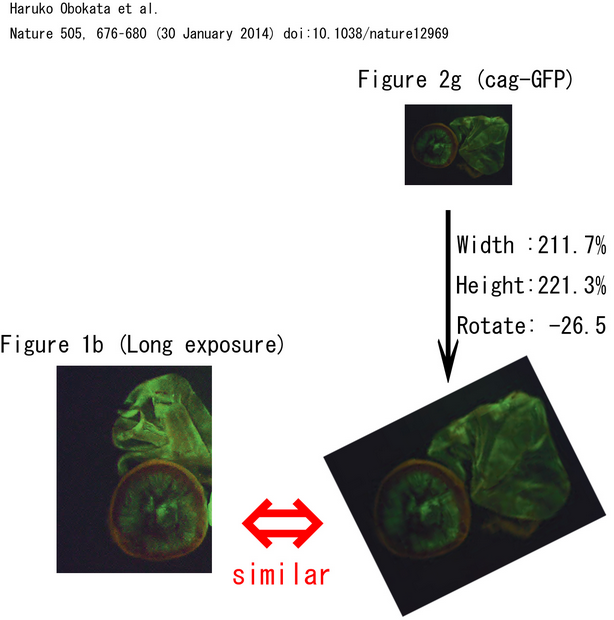 ) reported that Fig.1a (ES chimaera) and Fig.1b (STAP chimaera) in the Obokata’s Nature Letter (Nature. 2014 Jan 30;505(7485):676-80.) 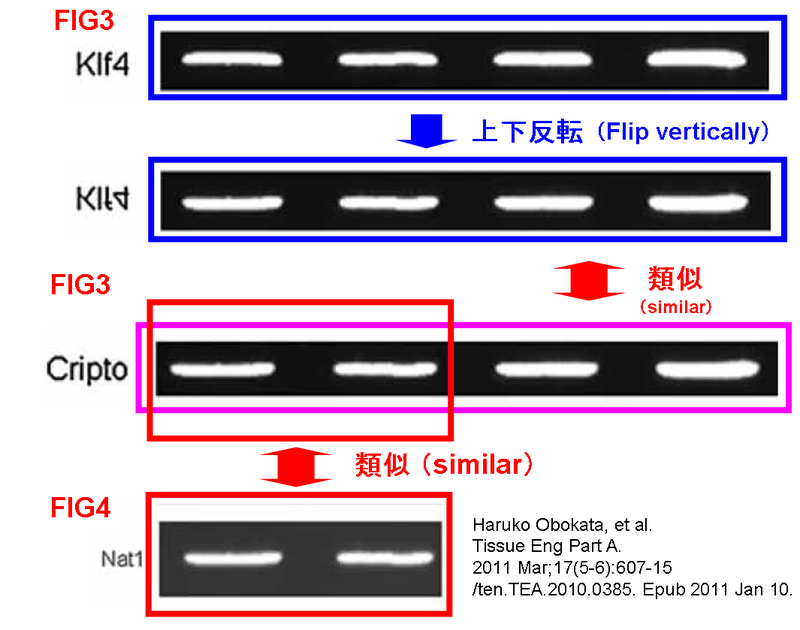 are derived from the same mouse. , and that Nature Article’s Ext. 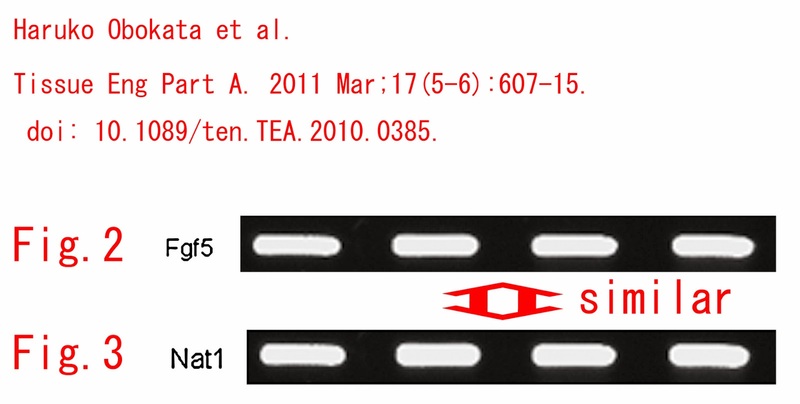 Fig7d (http://www.nature.com/nature/journal/v505/n7485/fig_tab/nature12968_SF7.html) and Nature Letter’s Ext. 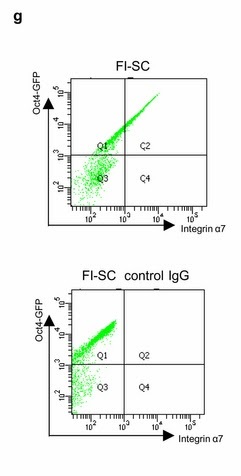 Fig.1a (http://www.nature.com/nature/journal/v505/n7485/fig_tab/nature12969_SF1.html) are derived from the same mouse. These findings indicate that the authors have committed research misconduct not only in the Nature Article (http://www.nature.com/nature/journal/v505/n7485/full/nature12968.html) but also in the Nature Letter (http://www.nature.com/nature/journal/v505/n7485/full/nature12969.html). 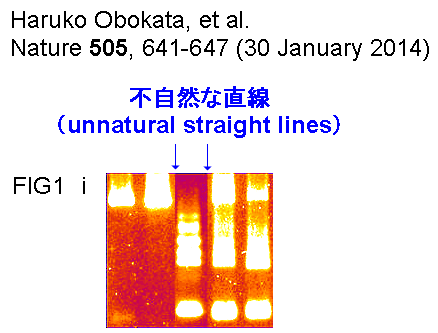 However, RIKEN has decided not to re-investigate these new allegations of research misconduct in the Nature Letter. Obokata and RIKEN’s top members including Dr. Sasai who is one of the corresponding authors of the Nature Letter may have signed a secret agreement to ward off efforts to pursue their responsibility, and decided to withdraw the Nature Letter and not to re-investigate the new allegations. 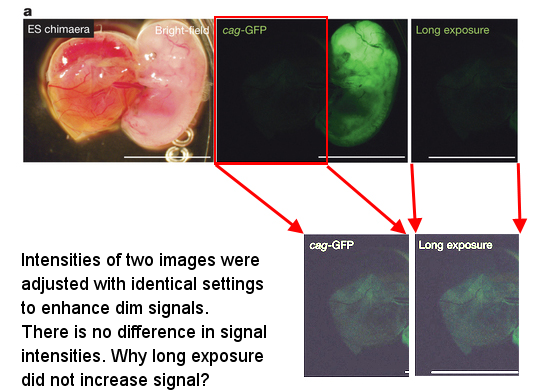 Nature Publishing Group covered up alleged scientific misconduct such as mega-image manipulation by accepting mega-correction many times. 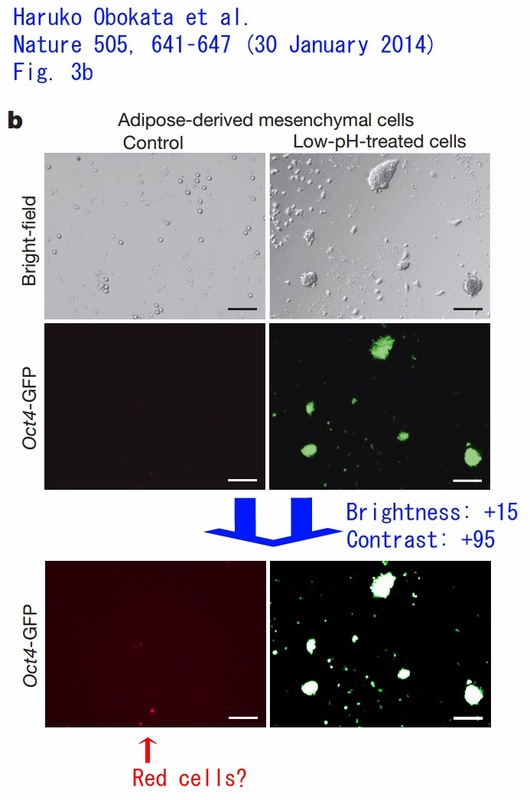 Can Nature Publishing Group, which is tolerant of misconduct, properly deal with issues in Dr. Obokata's papers on STAP cells?